The Book That Makes History Fun! Richard A. Lupoff is the co-author with Don Thompson of The Comic-Book Book, the second pioneering volume of the Golden Age of comics. 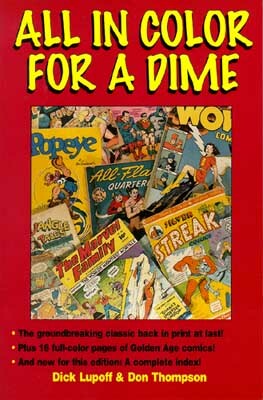 Order All in Color for Dime at Amazon.com.